This book presents a crisis scenario generator with black swans, black butterflies and worst case scenarios. It is the most useful scenario generator that can be used to manage assets in a crisis-prone period, offering more reliable values for Value at Risk (VaR), Conditional Value at Risk (CVaR) and Tail Value at Risk (TVaR). 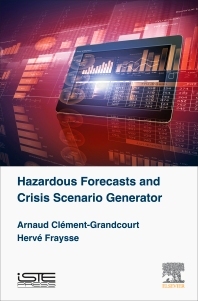 Hazardous Forecasts and Crisis Scenario Generator questions how to manage assets when crisis probability increases, enabling you to adopt a process for using generators in order to be well prepared for handling crises. Discusses asset management processes using a generator methodology to avoid risk understatement and increase optimization. 1.4 How large is the rational hypothesis validity field? 3: How to Use These Scenarios for Asset Management? 3.2 Which classic optimization processes are well fitted?